The reviews that greeted Vol.2 of David Wilde’s Chopin in 2014 spoke of his playing as "vast, monumental, inexorable … a wealth of colour and detail, all in service of an overarching design of crystal clarity" (International Record Review). Wilde, wrote Bryce Morrison in Gramophone, "scorns all easy facility", presenting Chopin not as the familiar salon dandy but as "an epic, gnarled and rugged genius shaking his fist at the universe with all the defiance of King Lear". BBC Radio 3’s CD Review concurred: "The space that he gives the music is extraordinary …This is on a grand scale". Here, then, is a further instalment of this extraordinary Chopin journey. As Wilde said to Delphian producer Paul Baxter as he sat down to record the B flat minor Scherzo: "I’ve been playing this piece for 73 years – I don’t think I need a score!" This is Chopin absorbed and reshaped: the radical expressive outcome of a lifetime’s involvement with this inexhaustible composer. Pianist and composer David Wilde recently celebrated his 80th birthday. A student of the legendary pianist Solomon, Franz Reizenstein and Nadia Boulanger, Wilde won a first prize at the Liszt–Bartók competition in Budapest in 1961, and between 1962 and 1988 gave seven solo performances at the BBC Proms. 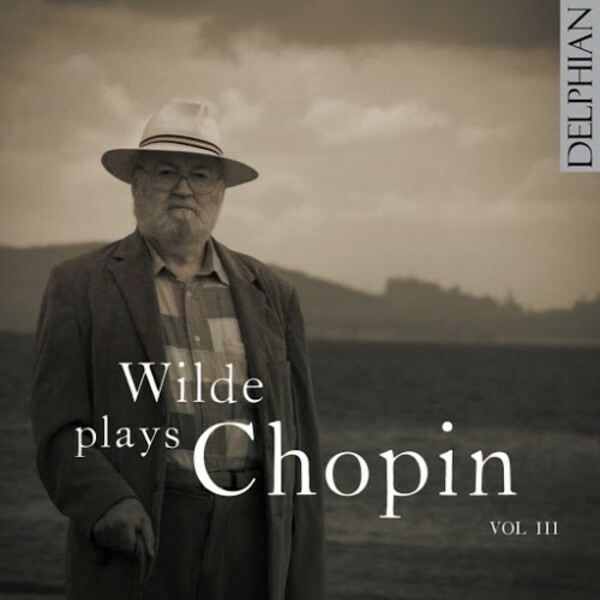 Having previously recorded for EMI and Saga Records, he now records exclusively for Delphian, with a catalogue that includes two further volumes of music by Chopin.